Patients may be reminded to attend regular check-ups with the dentist but how much do we need to know when having an examination? As dental patients, we all expect the awkward prodding at our teeth while we lay back, trying not to make eye contact and admiring the ceiling, but should we expect more in the form of oral hygiene advice? When I was a carefree teen, the quicker I could get in and out of the dentists chair the better. Like a significant proportion of the general public, my check-ups were quick and ended in one snippet of advice, “floss more”. I trusted that my dentist was doing all that was required. Although I am now well aware that this probably wasn’t the best use of my appointment time, particularly when considering the content of my colleague Sam’s recent blog, “Poor Oral Health”. Fortunately, I never had an abscess, painful symptoms, a mobile tooth or tenderness and sensitivity and this may have been why my dentist decided against a need for prolonging my appointments with additional information or oral hygiene advice. However, I recognise that there are plenty of people who are provided with this advice when it is too late. 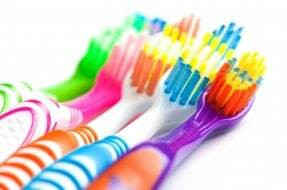 What is oral hygiene advice? – Providing dietary advice is also very important. Most of my friends and family members only think about their diet when they’ve got a beach body to aim for. Diet is vital in the preservation of your teeth and even foods you think are good for you, like dried fruit, can be damaging because they are high in sugar and stick to the teeth for longer. – Oral hygiene advice also includes advising patients on when to see the hygienist for a deep clean or an ultrasonic scale and polish. Why is oral hygiene advice important? Plenty of people do not gauge the importance of their oral hygiene and can be diagnosed with periodontal disease (gum disease) and/or deep caries (decay) and cavities that need restorative treatment. In some cases, by the time the patient is notified of their gum disease, it is too late and they will inevitably lose teeth. In other cases, the patient was told of problems but didn’t receive adequate treatment or management afterwards causing a deterioration in their condition. It is vital that dentists give patients adequate oral hygiene advice at the right time to avoid later problems, and if they do not then this can be negligent in some circumstances. If you or your family have concerns about whether you have been given appropriate dental treatment, seek advice from your dentist or another dental professional. It is also beneficial to obtain advice from a specialist dental negligence lawyer, such as those in our Dental Negligence Team specialising in such cases. We will be able to investigate your treatment and advise you on whether treatment has been negligent and whether you are entitled to claim compensation as a result for injuries suffered.